#fl2013 Broward and others need to reinvent themselves as a settlement under pressure from sea level rise. Can we do it right this time? I'm at The Town Hall Session 2013 hosted by WLRN and The Miami Hearld. 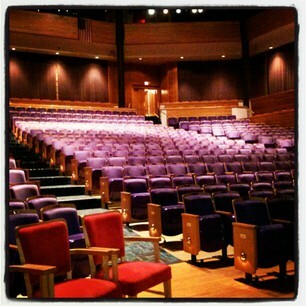 At the Broward Center for Peforming Arts for the WLRN/Miami Herald event to discuss healthcare; ethics and education. Getting ready to be heard. @WLRN#FL2013 I think that only a fool chooses to underpay the very agent who are educating our future. The disparity of education is obsurd. @wlrn in response to anyone being taken out from Citizens, 1st consider it a blessing, 2nd I you wanted to get back into Citizens - why!?? @wlrn let's all go to prison, just to get health care. Who knows, a 10 year sentence might save your life. #FL2013 RT @hippie_kitties: @WLRN let's all go to prison, just to get health care. Who knows, a 10 year sentence might save your life. @WLRN Citizens is a big scam. Senator Latvala with a poignant statement about how laws are written, but then are interpreted by judges and enforced by cops. "No one who wrote that law could have foreseen someone chasing someone down and killing them, and being protected by it." @WLRN More like 5. South, central, west, mideast, north. Maybe even more. #Florida is a BIG state. #Miami is the most interesting. Have you ever been in a car accident because of texting and driving? We are working on a story-- please tweet us!